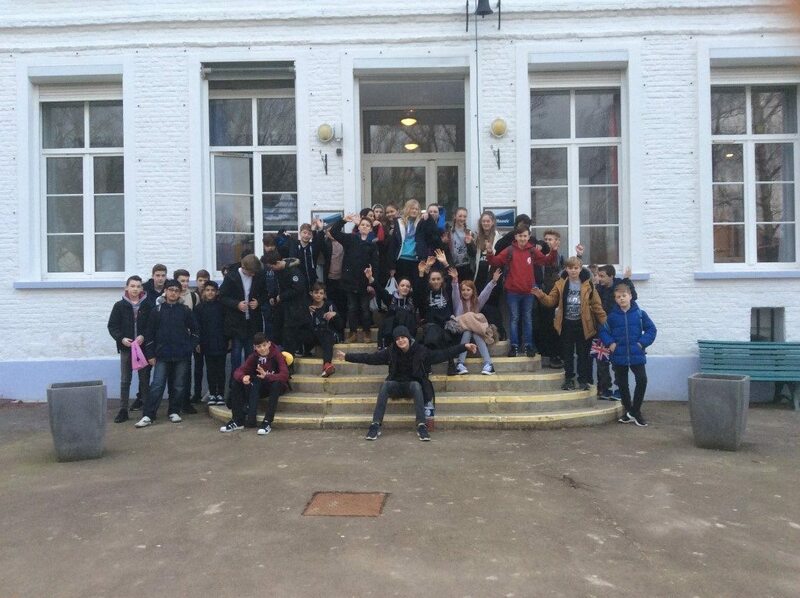 Day 1 – After an early start 33 pupils from year 8 accompanied by 5 enthusiastic members of staff found themselves heading towards Eurotunnel for the long awaited “trip to France”. Arriving in France we straight away noticed how different the landscape was. We then headed to the old town of Boulogne and had a little wander about, pupils finding every opportunity to spend their euros. This was followed by a visit to an artisan sweet maker. He described the process of making sweets; of course the best bit was the tasting at the end! We then headed off to La Coupole which was Hitler’s secret V2 rocket launching pad and factory. Despite its sinister undertones, it was very interesting. But the most exciting part of the day was of course, finding out which room they were in! Then dinner, then the evening activity of ‘egg drop’. All the oeufs broke, of course! Day 2 – After a delicious petit déjeuner, we headed off to St Omer, a small regional town nearby. Armed with clipboards, the pupils managed the town trail despite the rain and the edge of storm Doris. Then to a very large supermarché for a spot of shopping. This was one of the highlights, apparently! Bee keeping was the next activity and tasting the locally produced honey, all conducted in French of course. We also had a visit to a small chocolate producer – another highlight of course! Then back to the château for dinner and crêpe making. Did I mention snail tasting? This went down well with some pupils, not with everyone though! Some did give it a go which was brave! So, our last day. We headed to a very small village boulangerie where we met the crazy baker. Pupils were not sure whether to laugh or cry. He had an interesting method of teaching them how to remember the vocab for bread and croissant ingredients! We also saw how they make by hand over 500 loaves a day in the old wood fired oven. Our last stop before home was Nausicaa – a sea life centre right on the coast at Boulogne. It is full of interesting facts and figures and of course amazing species including sharks, turtles, sea lions, sea horses, jelly fish even little penguins! Then back to England – I asked the pupils which their favourite part of the trip had been – almost every answer was different. So thank you to year 8 who came along – I think there was ‘something for everyone’!